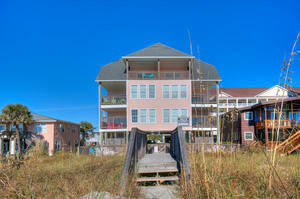 Any way you slice the benefits, this three-story vacation rental property is indisputably a luxury rental accommodation. 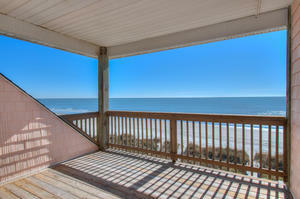 At the Margarita Villas A beach duplex in North Myrtle Beach, South Carolina the old "water, water everywhere" phrase is entirely accurate. 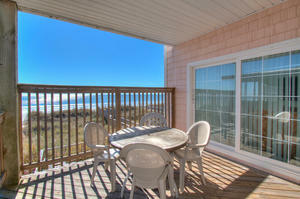 This superb, non-smoking vacation rental is one half of a big, happy, oceanfront beach duplex, perched high on stilts and nestled in the Cherry Grove community of North Myrtle Beach. 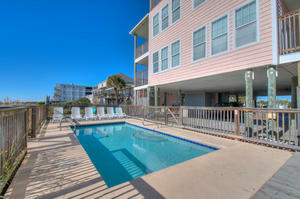 The Atlantic Ocean and an always dazzling beachfront waits just beyond the shared outdoor pool and down the boardwalk steps; for the length of your vacation the ocean is literally your back yard! 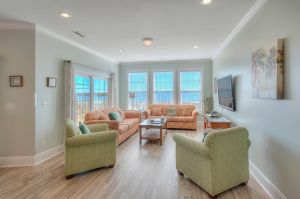 The oceanfront is a beehive of activity so head out and see for yourself why families select North Myrtle Beach, South Carolina as their vacation destination! 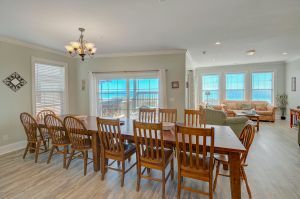 This North Myrtle Beach, South Carolina vacation rental is a prime destination setting for groups and families; as many as 22 people can rest their weary heads! 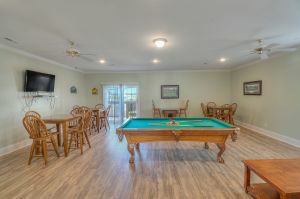 The Margarita Villas A beach house sports bright splashes of color, waterfront ambiance, numerous televisions, several DVD players, high speed Internet, and a game room anchored by a pool table. 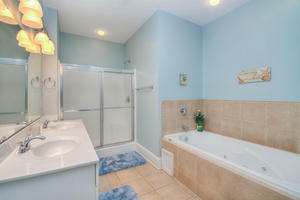 Others perks include a Jacuzzi tub in master bath, a wet bar, an elevator and a washer/dryer. 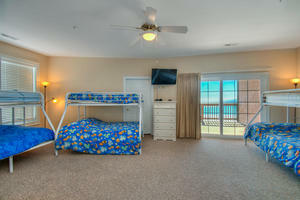 This is vacation escape at its best. 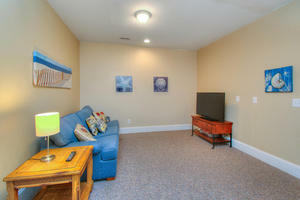 The great room is anchored by a fully equipped kitchen that boasts much more than a microwave. 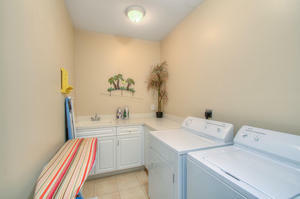 Full-size appliances and a dishwasher equip the kitchen and breakfast bar area. 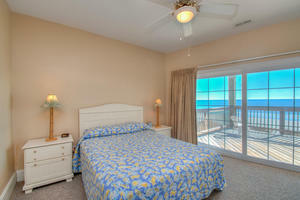 No detail has been overlooked in this vacation rental beach house. 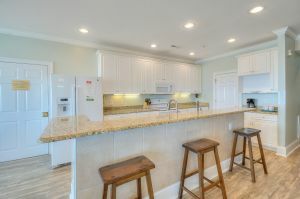 Golf courses, entertainment theatres, family attractions and hundreds of restaurants are all in close proximity to this North Myrtle Beach, South Carolina vacation rental beach house. 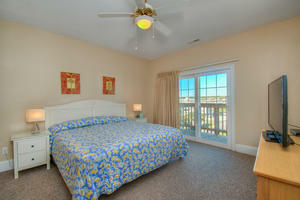 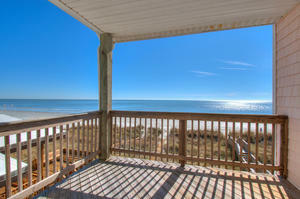 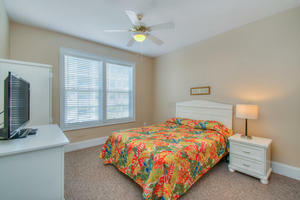 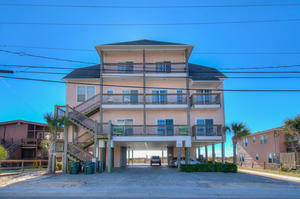 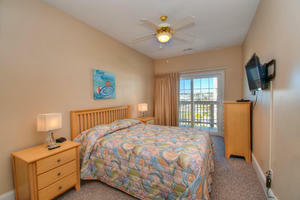 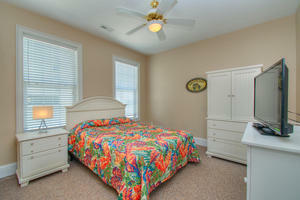 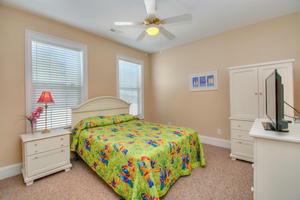 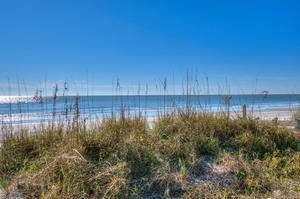 This vacation option delivers the Grand Strand lifestyle at its quintessential best.